As more baby boomers enter retirement, more than ever there is a need for qualified activity directors to provide the very best in socially, mentally, and physically engaging programs for residents of independent, assisted living, personal care, long-term care communities and adult day centers. To this end, the National Certification Council of Activity Professionals (NCCAP) has put in place a national exam, which went into effect at the beginning of 2012. This requirement for activity directors was designed to elevate the level of the profession and practitioner. Federal requirements define activity director certification through a recognized accrediting body OR having two years experience OR being an Occupational Therapist or Occupational Therapist Assistant OR having completed a training program approved by the state, according to Debbie Hommel, a certified consultant through NCCAP, with specializations in Memory Care and Educator and certified through the National Council of Therapeutic Recreation Certification as a CTRS (Certified Therapeutic Recreation Specialist). The NCCAP is one of the certifying bodies recognized by the federal government. The NCCAP certification focuses on the needs of the elderly and the role of the activity professional in long-term care facilities. State regulations may have additional or similar mandates and some states have no additional activity state regulations. The regulations for assisted living and medical day care centers are different than skilled nursing facilities and are only regulated through each state. The Modular Education Program for Activity Professionals (MEPAP) is a training program developed by the NCCAP. The course is a required part of the NCCAP certification program and has proven to prepare activity professionals to effectively meet the needs of the residents. In addition to completing the MEPAP, all new Activity Director Certified or Activity Consultant Certified applicants will need to successfully past the exam to complete the certification process. Upon successful completion of the test, the individual will be certified Activity Director Certified or Activity Consultant Certified. Under the federal regulation, 483.15, the facility must care for residents in a manner and an environment that promote maintenance or enhancement of each resident's quality of life. This includes under section (f), that the facility must provide an activities program designed to meet the individual needs and interests of each resident. The program must be directed by a qualified recreational therapist or activities professional. Activities are an integral part of the cultural change movement and central to person-centered care. It is essential for resident quality of life. The intent is that the facility identifies each resident's interests and needs and involves the resident in an ongoing program of activities that is designed to appeal to his or her interests and to enhance the resident's highest practicable level of physical, mental, and psychosocial well-being. Even severely limited residents can have one-to-one activities such as talking to the resident, reading to the resident about prior interests, or applying lotion while stroking the resident’s hands or feet. Activities can occur at any time, are not limited to formal activities being provided only by activities staff, and can include activities provided by other facility staff, volunteers, visitors, residents, and family members. Activities, especially those involving the arts are important. 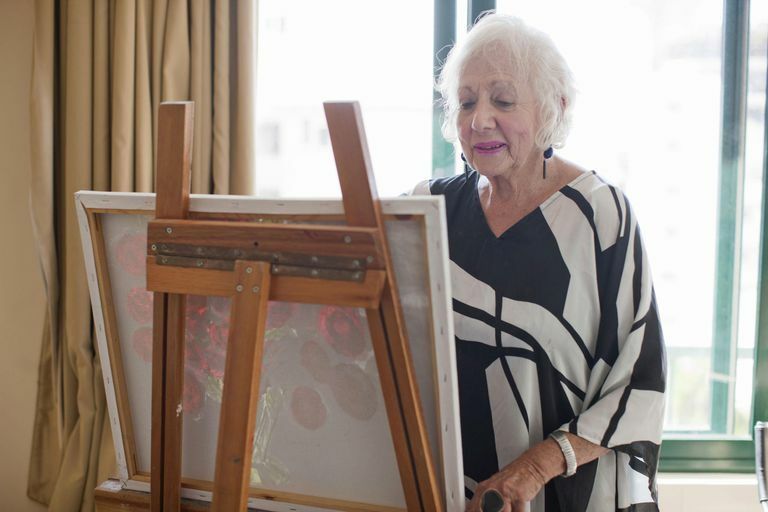 A study conducted with the Levine School of Music in Washington DC studied 300 seniors – half enrolled in an arts program once a week and half not enrolled – over a two year period. The study reviewed the health and social functioning of the participants before, at one year and at the end of the study. The results showed that those who attended the arts program had better health while those who did not attend saw their health deteriorate. In addition, the art’s group used fewer medications, felt less depressed, were less lonely, had higher morale and were more socially active. Activity professionals are the unsung heroes of the profession. They are called to do much and what they do positively affects lives and ultimately affects the image of the home. Find further information about national certification and regulations.